value from our aggressive implementation efforts and dedicated implementation resources. deployed in just 2-4 months, which minimizes risk to clients while maximizing return on investment. To kick-off the implementation process, we send a Projectmates Implementation Specialist to conduct fact finding sessions where we meet with all key departments, such as Design, Construction, and Upper Management. The Implementation Specialist determines what business processes are currently in place and defines those processes in Projectmates. During the entire implementation, Systemates communicates with the client through weekly meetings to review configuration and project progress. Once the software has been configured, the Implementation Specialist meets with the core implementation team for a Proof of Concept workshop where the teams run through a project from start to finish in the software. This workshop is an opportunity to solidify how processes will run in Projectmates and identify if there are any remaining issues prior to onsite training. In our experience, very little needs to be changed between the Proof of Concept workshop and the onsite training. Because Projectmates is highly configurable, adjustments and corrections can be completed with little to no cost or schedule impact. We have successfully implemented Projectmates on a number of projects to streamline our cost control processes. 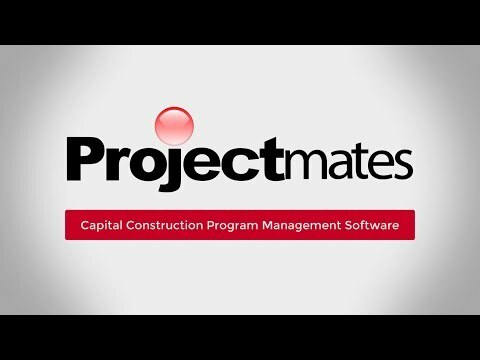 We have successfully implemented Projectmates on a number of projects to streamline our cost control processes. We are now using the software on projects in multiple countries around the world with no issues with currency conversion. Benefits include tracking system for approvals of contracts, change orders and invoices, central storage system for photos, documents, contracts, etc and ability to integrate with accounting system. Another benefit is the company continues to work to improve the product by actually listening to their customers!